Bath tub in Master bed room & Glass shower cubicle in other toilet. 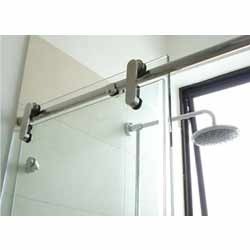 A shower enclosure is seen as a lifestyle products and a must have in the modern society today. It gives your bathroom a completely different look and feel, enhancing your bathing experience. White Stallion Glass & Architectural Solution offers you a range of shower enclosures to choose from to fit your requirements.